When his third wife abandons him in Tucson, boozing, misanthropic anarchist Henry Holyoak Lightcap shoots his refrigerator and sets off in a battered pick-up truck for his ancestral home in West Virginia. Accompanied only by his dying dog and his memories, the irascible warhorse (a stand-in for the "real" Abbey) begins a bizarre cross-country odyssey - determined to make peace with his past-and to wage one last war against the ravages of "progress". A half-century after its original publication, Edward Abbey's classic 1962 novel, Fire on the Mountain, still retains its beauty, power, and relevance. This extraordinary tale by the legendary icon of the environmentalism movement and author of The Monkey Wrench Gang proudly celebrates rugged American individualism, as it tells the story of one tough old loner's stand against the combined, well-armed forces of government that are determined to clear him from his land. Archetypal wild man Edward Abbey and proper, dedicated Wallace Stegner left their footprints all over the western landscape. 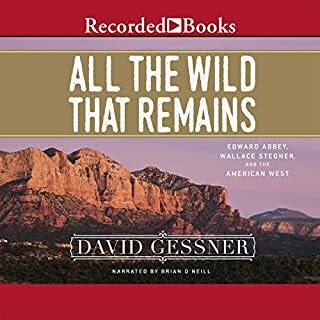 Now, the award-winning nature writer David Gessner follows the ghosts of these two remarkable writer-environmentalists - from Stegner's birthplace in Saskatchewan to the site of Abbey's pilgrimages to Arches - braiding their stories and asking how they speak to the lives of all those who care about the West. What is the future of a region beset by droughts and fires, by fracking and drilling? Can't wait to read my next gessner! Ex-Green Beret George Hayduke has returned from war to find his beloved southwestern desert threatened by industrial development. Joining with Bronx exile and feminist saboteur Bonnie Abzug, wilderness guide and outcast Mormon Seldom Seen Smith, and libertarian billboard torcher Doc Sarvis, M.D., Hayduke is ready to fight the power - taking on the strip miners, clear-cutters, and the highway, dam, and bridge builders who are threatening the natural habitat. The Monkey Wrench Gang is on the move - and peaceful coexistence be damned! I remember reading this book almost 20 years ago and falling in love with the characters. 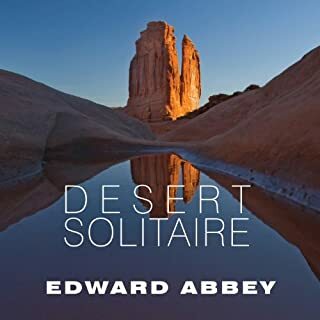 Abbey's writing style is one in a million and his experiences in the desert southwest make his works priceless if you've ever hiked in Utah or Arizona. Abbey develops characters with so much texture and grit that it gets stuck between your teeth like desert sand. The Monkey Wrench Gang has you cheering for the bad guys and hoping the good guys go veering off the road into the great abyss. I only hope that Audible follows up one of these days and makes Hayduke Lives available on audiobook. What an incredible book. 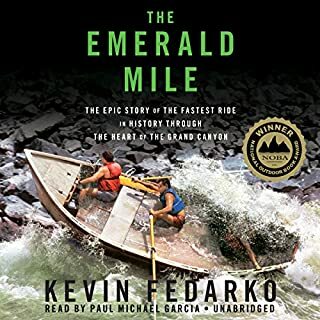 I found that oscillating between reading the physical book and listening to this audiobook was a pleasant combination. Edward Abbey's extensive vocabulary is best enjoyed printed, allowing the reading opportunities for deeper comprehension and inquiry. 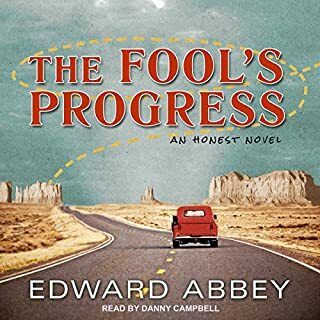 This audiobook, with great and dynamic narration, offers the opportunity for the sense of storytelling. I enjoyed the different voices used for each character and was able to refer back to them when picking up the book in between sessions of listening. Great story. His discription of many wild places and the energy of the moment when experiencing raw moments in nature were perfect. I great story of man vs the often selfish and cruel people who drive industry. I loved the book. Hayduke lives! I have loved this book since it was first published. I was in college in Colorado, and my friends and I used to go regularly to Utah to jeep and backpack in Canyonlands, Arches, etc. and also to Arizona. I have read it quite a few times, the first few times during trips to the canyon country, where we would do our best to trace the footsteps of the Gang. 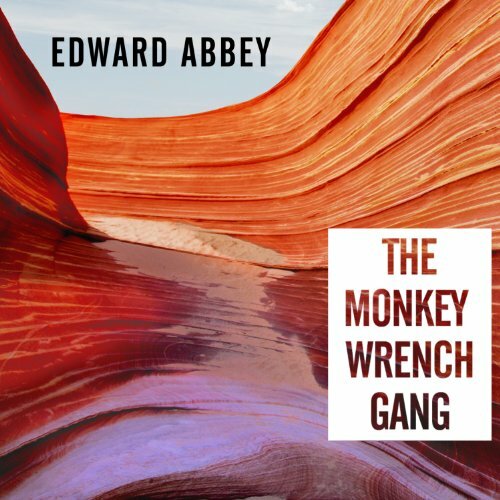 If you love the desert and have any anarchistic tendencies, The Monkey Wrench Gang is for you! The audiobook is pretty good. The narrator was OK but nothing special. He pronounced "pinyon" (a word that occurs many, many times) as "pin-YOWN". I think this might be one of the acceptable pronunciations, but I have never heard anyone in the Southwest say anything other than "PIN-yuhn" so I found it distracting. Maybe I'm being unfair, but I found it distracting. Hayduke never would have pronounced it that way, and I doubt that Ed Abbey would have either. If you could sum up The Monkey Wrench Gang in three words, what would they be? George Hayduke is too obvious. I enjoyed Bonnie Abzug balancing the attentions of two men simultaneously while bringing her female perspective to every escapade. You eventually accept his personal characterizations of the player's voices. Knew of this book for forty years but hadn't read it. As a younger man, it could have inspired eco-anarchy in me . Edward Abbey is particularly adept at describing the southwest landscape. I live in Tucson, Arizona. During the late 1970's and into the 1980's bumper stickers that said "Hayduke LIves!" were common in the area. One can occasionally find one... even today. this is an excellent fun caper very much in the vein of Westlake and his comic crime novels. the tone and voice is very much Westlake. I thoroughly enjoyed it. It has a very topical theme with the environmentalist sabotage but the novel is well written with sly asides and jabs and there are many intelligent allusions to literature and conventions along the way. another reason I enjoyed it is Kramer's narration. he has been a favorite of mine since i first ran across him listening to Westlake titles he narrated for Books on Tape. I hope those recordings will some day be available on Audible also as they are excellent. he narrated most of the Dortmunder series which is great as well as other Westlakes. his voice coupled with this story threw me into a state of deja vu and nostalgia for those titles. 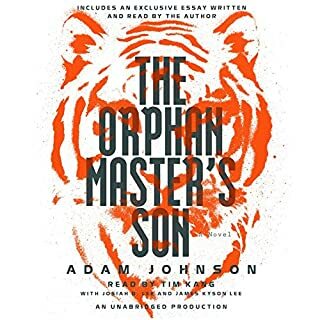 he is a narrator that is perfect for this style of fun sly fiction and i hope this means he will show up in many other titles. BEST AUDIOBOOK THERE IS! EVER WAS! 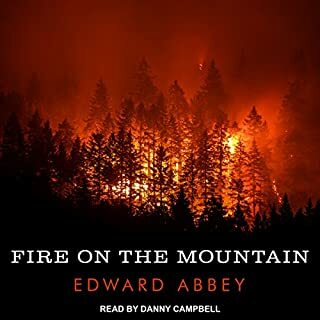 My first audiobook and it hooked me! I had the pleasure of listening to it while traveling 4 Corners and was syncing up with location in the story! Abbey is a genius and this his Magnus opus! Some complain it's not fine literature but I disagree strongly! It has it all! if I had to come up with a complaint it's Doc's voice, way too east coast stuffy for how I imagined him. Didn't detract one bit. This narration/performance brings this classic alive in a new and compelling way. I'm sure that Abbey would approve. First read this book in the 80's and loved it! May years later this audio version does not disappoint. Abbey's story is made accessible to more people through this audiobook. Well read, but maybe don't play it fir your kids?